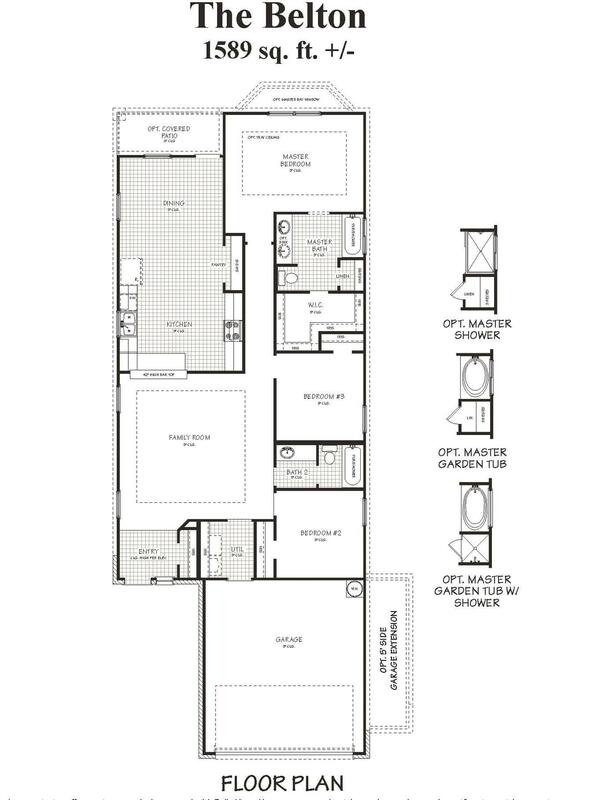 The Belton floor plan features 3 bedrooms, 2 baths, and a spacious family room with 9' ceilings. A high bar top in the kitchen is great for a quick breakfast on the way to school or work. The relaxing master suite allows for an optional bay window and the choice to convert the tub to a walk-in shower or a garden tub.